Looking for a fast and durable processor? 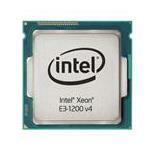 Get Xeon Processor E3 v4 family for your business today to experience unmatched performance. Xeon E3 processors are the first of the E-series, known for providing quality, speed and impressive workload management. 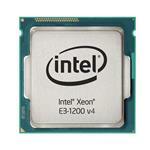 Get Xeon E3 Family processors for enterprise applications today. Order online and avail free shipping on your purchase. Whether it is about game designing, high-performance computing, running heavy applications, e-commerce database management, business analytics or any other kind of intensive work, Xeon processors are your best choice. These Ivy Bridge processors have a data transfer speed of 8GB/s and four cores that support hyper-threading. With 4-core processors and two threads per core, a server processor can run over eight different processes at a time. This means you will not only get more power but will be processing applications at lightning speed. These processors are best for HPC applications such as visualizations, video editing and software related to finance and banking. Get Xeon processors for running advanced applications today. 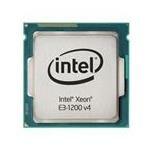 Browse Xeon E-series processors on Memory4Less.com to find the best match for your needs. New and refurbished processors available for users at remarkable prices.